NEW YORK (AP) — A woman who couldn't get a beef patty at a favorite New York eatery used a baseball bat in protest. 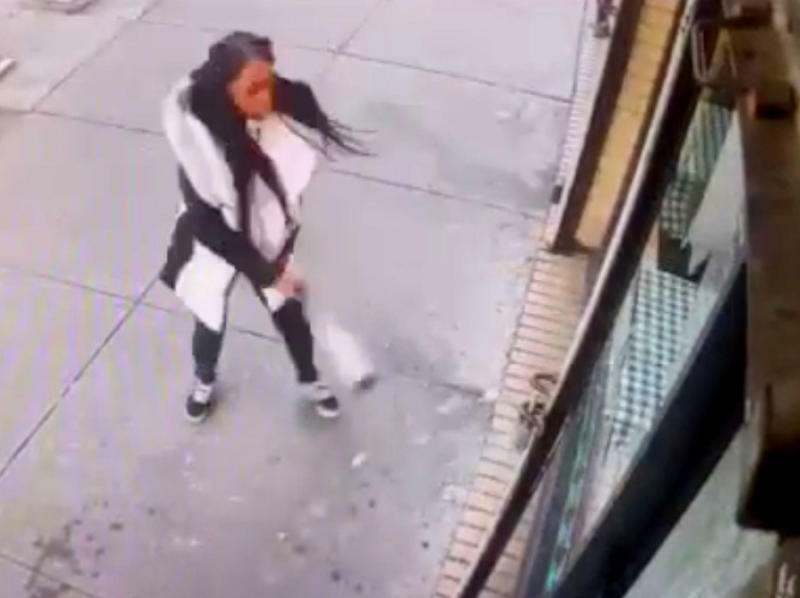 On Saturday, police released surveillance video of the woman in action in the Bronx — smashing a restaurant's windows after learning the eatery had run out of her favorite food. Police say the woman at the Back Home restaurant in the Morrisania neighborhood came in on the afternoon of Jan. 15 and ordered a patty. She was told they'd run out, and she got upset. Authorities say she left and came back to the Jamaican restaurant with the bat. 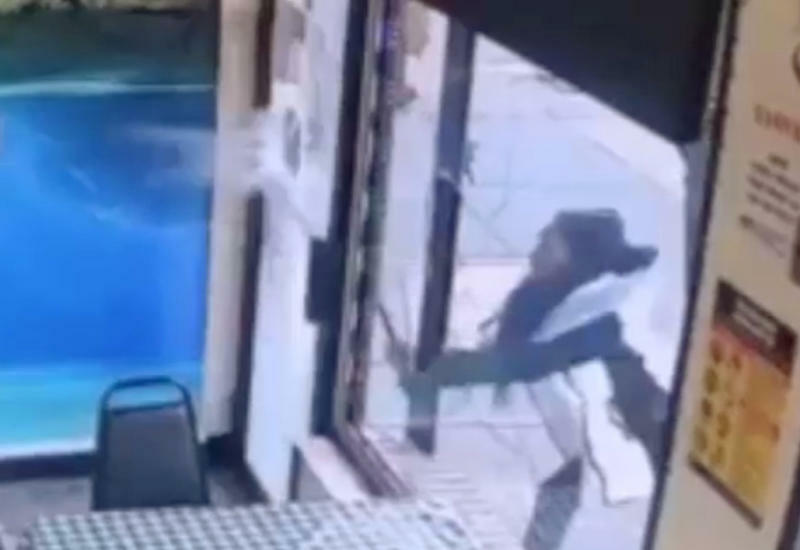 The video shows a woman bashing in two windows. She fled and police were still searching for her on Saturday. 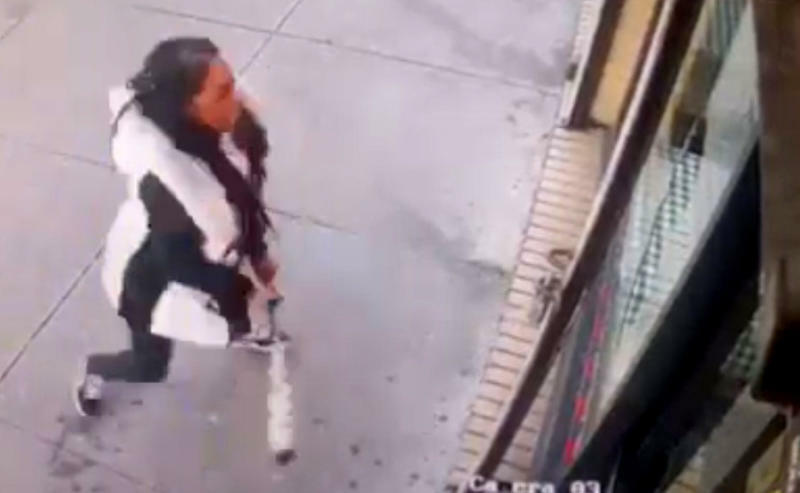 The video shows a woman dressed in a black and white jacket and matching sneakers, swinging a multi-colored aluminum bat as bystanders tried to stop her before she walked away. No one was injured during the incident. The Back Home restaurant in the Morrisania neighborhood is a simple, affordable spot that offers Jamaican specialties like curry goat and oxtail, drawing people from around the city.